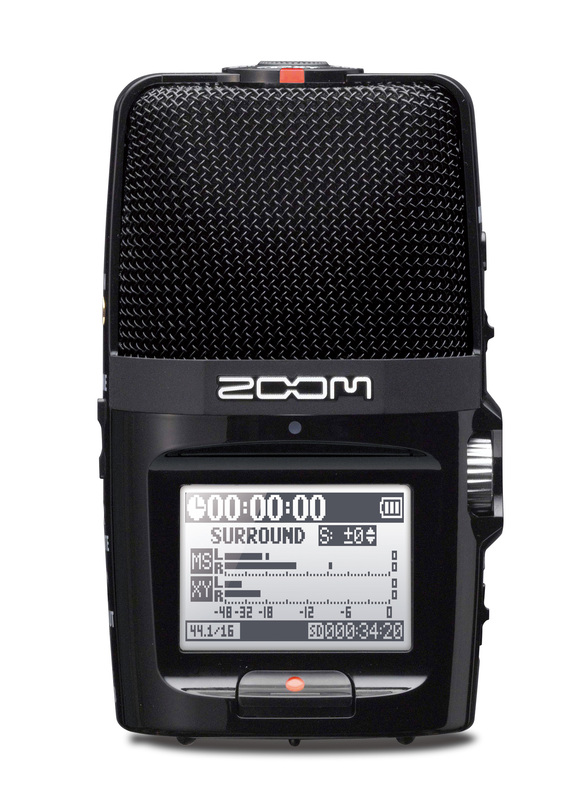 H2n, Pocket Recorder/Multitrack from Zoom in the H2 series. vsavagellc's review"Not to shabby, could be better "
I really like this version of the H2n. I've used the 1st model which was good but this one is a lot better sounding in my opinion. I love the fact that there are different mic modes to choose from, this allows the user to get creative and really capture some interesting sounds before editing in post. 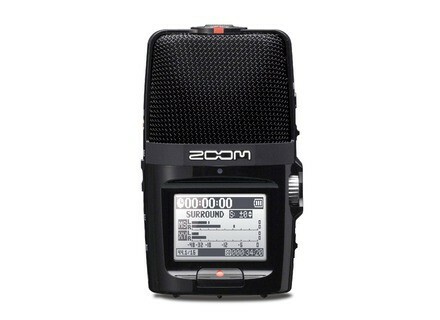 Before purchasing this H2n or the original version I had tried a few different ones from Tascam as wells Zoom's H4n (another good field recorder). In my opinion the H2n sounds pretty clean, there is a little noise in it, but you can't avoid that will lower end recorders. I think it's priced reasonably fair for the quality you get from the mics on board. I wish it had a regular field recorder's look rather than that of a condenser mic, but that's just personal perference. If you're planning on doing any outside field recording I would strongly suggest purchasing a fury head. This is very similar to a wind screen or wind cutter. They look very similar to the hair found on the old school troll toys. This is going to cut a lot of the wind you run into thus giving you better quality sound. I'd also experiment with recording the same sound with the each mic option this way you can really control the dynamics of the sound once you're in post. This one main advantage the H2n has over most of the other portable recorders out there. I gave this record a 6 overall because for the price it should include XLR input like many of the other recorders in it's price range. The obvious thing to like about Zooms' H2n is having a good quality recording with minimal fuss. The H2n is ideal for recording live shows or for just recording some ideas quickly at practice or on the go. For the price vs. value, I would say that it is just right. You get exactly what you pay for with this item, perhaps even a bit more. The sound quality of the H2n is quite good when compared against many other handheld, condenser mic equiped models offered by Zooms' competitors. The mics Zoom uses are very well balanced and very sensitive and of overall very good quality. I've used this in a variety of "live" situations from very quiet shows to ampitheatre shows to indoor rock shows. The H2n always performs well provided that you take the time to familiarize yoursef with the onboard effects and ensure that you are not clipping. Personally, I would not recomend using any of the built in limiters or compressers etc. If you have a good DAW to transfer the recorded files into then your best bet is to just record it dry and do your eq'ing/mastering later with your good monitors and in a controlled environment. Also keep in mind that the H2n's condenser mics are very sensitive to handling noise and or vibration noise from being set on a hard surface. You can easily ruin a recording of a great live show by setting it on a wooden railing without some sort of padding or something underneath, the optional stand is nice. Also, keep in mind how much internal storage space you have, the options of choosing between different sampling rates and or bit depths is fantastic, but you can use that space up quicker than you may expect if you insist on recording at the highest quality. On a lower note, the proprietary file system is a bit odd, once you get used to it it's no big deal but you'll see what I mean. I've used a ton of handheld recording devices over the years from microcassette all the way to fully digital and I have to assure you that the H2n is a godsend for the applications that it is best suited for. I would certainly purchase the H2n again if necessary or another model from Zoom. I've used all of their H series recorders and have gotten consistently good results. 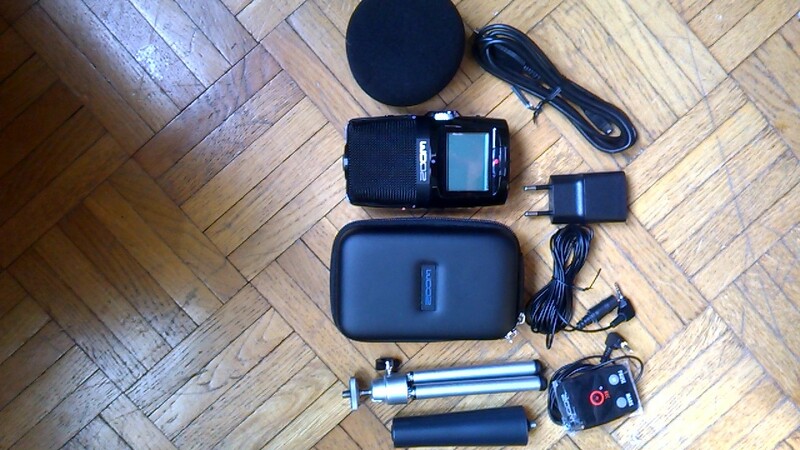 stompboxjon's review"a must have item"
I have used a few different handheld recorders like the H2n. The difference between them and the H2n is that it has a much better sounding quality. Sometimes when recording things on the fly, it is not just about recording it but recording it at great quality to playback later. I carry my H2n around with me pretty much at all times now because I never know when I may have a melody in my head that I want to hum out in it or some lyrics that I might want to say so I can complete the project later. The H2n is like having a high quality microphone and recording program on me at all times. It has 5 microphone capsules in it and can record in 360 degree surround. The pickup patter of the H2n is made to handle any type of recording situation you might have. I have even recorded instruments with it live and then used that to dump into my DAW to master the sound of what I have recorded. All musicians and artist need to have a recorder handy like how a photographer always has a camera on him. You just never know when you might need your H2n. One of the great features of the H2n is a recovery mode, just in case you lose power you can still recover what you where recording on the H2n. You can get up to 50 hours of recording time because it can take up to a 32GB SD card. Then you can just plug the H2n up to your computer via USB and get all of your audio recordings right off of it in no time to your computer. You can use it with any computer that has a USB 2.0 input slot and with any system. There are no installations involved when using the H2n. It is plug and play. The Zoom H2N is a great value. Featuring 5 onboard microphones that can be paired in a variety of configurations, the H2n can suit just about any recording need you might have. 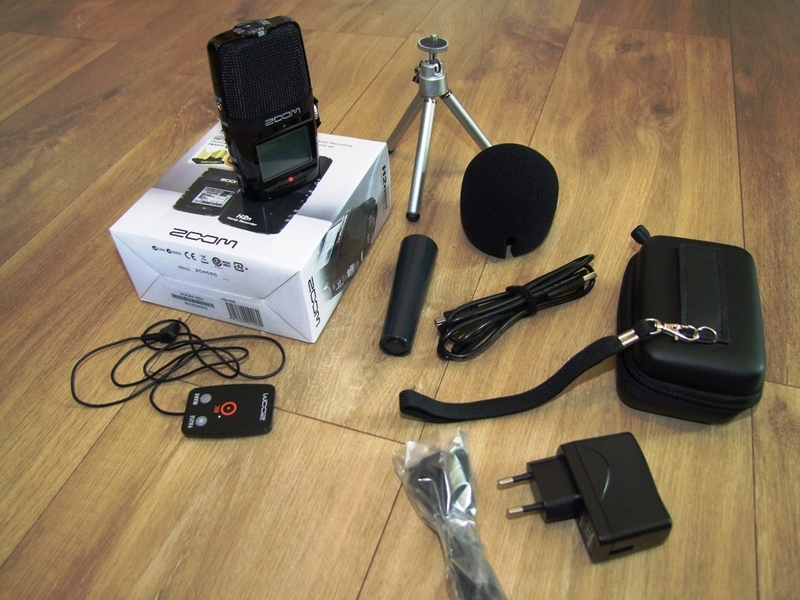 My experiences with the Zoom H2n started with just wanting a mobile recording device to capture acoustic guitar ideas with. After spending time with the device I found it particularly good on vocals. I ran it into a macbook pro via usb and was able to monitor my take in real time within garageband. Monitoring in this fashion (using the headphone out on the Zoom) allowed me to hear any effects on my take exactly as they would sound on playback. This gave me a heightened sense of confidence while singing and led to more consistent vocal takes. Going through the LCD User interface can be a pain at times. The controls of the H2n are not completely intuitive and you can find yourself accidentally recording over or deleting items. Besides these habitual quirks, the learning curve to this product is not steep by any means. I was able to get the device unboxed, setup, and a decent sounding take recorded in less than 20 minutes. The microphones do a great job of isolating the source material in a residential apartment. Even with electrical noise from appliances and traffic spilling in from outside, the recordings always sounded very intimate-- rejecting most of these unwanted sounds. Acoustic guitars sound very full and when tracking multiple sources together (such as voice and guitar as well as multiple voices) , they keep distinct and separated in the recording. 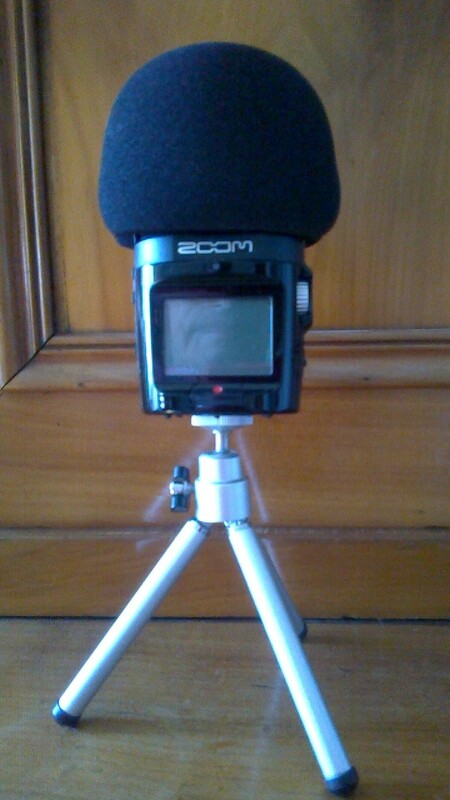 The Zoom H2n exceeded my expectations for sound quality and made me feel very comfortable with the purchase. 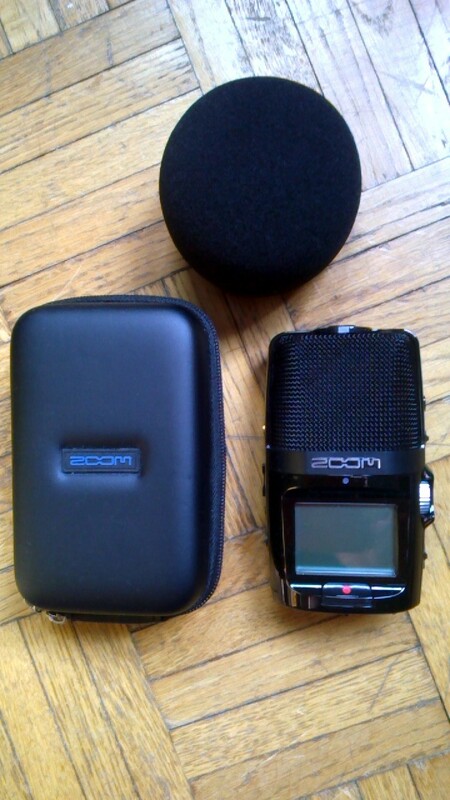 If you ever need an affordable device for capturing audio, give the Zoom line a try.